Lean Six Sigma has been around for a lot of years now – over twenty in fact. Total Quality Management or TQM has been around even longer. So you may have thought that everything would be fixed by now. Not quite. In spite of the ever-growing army of lean practitioners, green belts, and black belts who are busy chasing down waste and fixing process problems, the rate of new process problem creation appears to exceed the rate of process problem resolution. The rework factory is running flat out and we aren’t catching up! The only way we’ll ever make real progress on process quality is to upgrade our design practices so processes behave properly right from the start. Process design is a critical skill for every organization – but it’s too often left to chance. Every day, folks are busy designing new processes with not much more to work with than good intentions. Not surprisingly, the solution is to eat our own cooking: to design the process that is used to design processes. This presentation will present an Agile Process Design approach based on simple tools, common sense methods, and proven proven best practices drawn from Design for Six Sigma (DfSS), Design Thinking, Lean Start-up, and Agile Software Development. 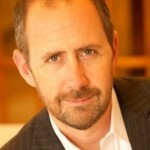 William Hathaway is President and founder of MoreSteam, which was launched in Feb. of 2000 as an internet-based process improvement technology platform. Prior to creating MoreSteam, Bill was a commercial lender for several years, then spent 13 years in manufacturing, quality, and operations management. Bill spent 10 years of his career at Ford Motor Co., then held executive level operations positions with Raytheon at Amana Home Appliances, and with Mansfield Plumbing Products. Bill earned an undergraduate finance degree from the University of Notre Dame, and graduate degree in business finance and operations from Northwestern University’s Kellogg Graduate School of Management. MoreSteam is the leading global provider of Lean Six Sigma blended learning solutions. The company offers a comprehensive enterprise process improvement system, including a full suite of online Lean Six Sigma courses and simulations, the EngineRoom data analysis application, and TRACtion project management software. MoreSteam online courses are offered through the ASQ e-Learning Center, Ohio State University, and have been used by over 50% of the Fortune 500 companies to train over 535,000 people around the globe. Patricia La Londe is an executive in Supply Chain Management. The world is changing at a rapid pace, we all know that, but are we making the changes to ensure our work force is ready and armed with the skills and knowledge they need to meet the changing world. This talk will provide insight on what areas industry and executives feel the quality professional may not be skilled to do 10 years out. I will share some suggestions from focus groups of what the quality professional or practitioner needs in the future. ASQ & IAQ published research in 2017 which indicated all professionals are not prepared. Let’s discuss what you need to be ready. 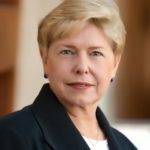 Patricia La Londe is an executive in Supply Chain Management with expertise leading teams in all aspects of procurement and supply chain including supplier quality, global sourcing, mergers, acquisitions, divestitures and integrations across diverse businesses. Effective in developing a global sourcing organization for a large medical device company resulting in year over year cost reduction via strategic sourcing methodologies and re-engineering, while ensuring compliance with regulations. Championed continuous improvement and developed alliances to create value through innovation and supplier partnerships. Patricia received the Charles E. Meadows award in 2005 and Rick A. Mass Award in 1998 from ASQ Customer Supplier Division. She maintains professional certifications: Manager of Quality/Organizational Excellence (CMQ/OE), Certified Quality Engineer (CQE), Certified Quality Auditor (CQA) from ASQ, along with the CQIA and CQT certifications. Patricia, is a Fellow member of ASQ, past Chair of the ASQ Board of Directors, and current Core Council member of APQO. BlockChain is a revolutionary technology with application in many industries, including Supply Chain Management. IBM is a leader in BlockChain development. Ed describes BlockChain technology, how it is presently being used and the great potential within the Supply Chain. As an information technology leader, Ed Corno‘s abilities are unique, offering a combination of industry, technical knowledge and innovative creativity. Corno’s accomplishments in business and information technology have enabled Fortune 500 companies such as IBM, HP and smaller organizations to thrive and succeed in an ever-changing competitive marketplace. He approaches information technology from a comprehensive background in business management, working and consulting across numerous verticals for the following industries: manufacturing, consumer products, government, distribution, healthcare, agriculture, venture capital and financial services. Corno has expertise in a variety of technologies such as Blockchain, Artificial Intelligence, Internet of Things (IoT), Cloud computing, 3D printing, as well as traditional technical business solutions. 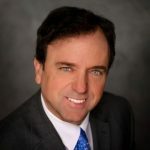 Throughout Corno’s 20-plus year career, he has served as chief technology leader for IBM, chief technologist in the Office of CIO for HP and EDS, and principal for CapGemini Ernst & Young. During this time, he has gained experience in technology strategy, innovation, business development, management consulting and C-level advisory capabilities. In addition, Corno assists the private equity industry by evaluating technology for companies such as JP Morgan, Wells Fargo and McKinsey. He has provided advice to various charitable, civic and professional organizations over the years. He has been involved in Boys Hope, Girls Hope and Tony LaRussa’s Animal Rescue Foundation (ARF). 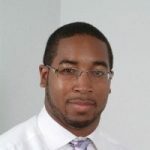 He also takes part in Cortex in St. Louis, advising startups. Most recently, Corno has interacted with Washington University and Webster University about implementing Design Thinking. Corno, a native St. Louisan, holds a bachelor’s degree from Washington University and a master’s degree in business from Webster University. He has completed a HP sponsored Harvard University certificate as well as many hours of IBM and HP professional development training, covering numerous areas such as Blockchain, Artificial Intelligence and Cloud computing. A-1 Andrew Cleveland Client Supply Chain Manager, Accumen, Inc.
Andrew Cleveland is a Client Supply Chain Manager at Accumen. The future can look bleak given the challenges in the contemporary healthcare environment which include: government mandates, variance in supply cost, and consumerism. Each challenge presents itself as a risk factor and barrier to the health provider’s success. Managing the quality of the products and relationships of significant suppliers at a cost advantage is becoming a litmus test for the future financial health of providers. No single solution will suffice, but with a tandem approach of innovative thinking, a willingness for key resource investments, and finite vision the future will not look so gloom. Andrew Cleveland is a Client Supply Chain Manager at Accumen, a healthcare transformation company that partners with hospitals and health systems to create high performing imaging and laboratories. Prior to Accumen, Andrew has worked for organizations including BJC Healthcare, Boeing, and John Deere. He has held positions including Sourcing Manager, Supply Chain Specialist, Material Estimating and Pricing Specialist, Manufacturing and System Engineer, and Production Engineer. Andrew holds an MBA from Webster University and a Bachelor degree in Engineering and Engineering Management from Missouri University of Science and Technology. Bob Beyer is the Vice President of Supply Chain Service for Hospital Sisters Health System (HSHS). This session will discuss details of the Cost, Quality and Outcomes (CQO) Movement and discuss opportunities within their own organizations to apply CQO strategies and how to establish a clinically integrated supply chain in their own organizations. Bob Beyer is the Vice President of Supply Chain Service for Hospital Sisters Health System (HSHS) based in Springfield, Illinois. HSHS has 15 Acute Care Hospitals throughout Illinois and Wisconsin with more than 2.1 Billion in operating revenue, 75,000 annual admissions and over 14,000 Colleagues. HSHS Supply Chain Services has more than 50 System Colleagues and 200 more colleagues in the HSHS Divisions and Local Ministries with more than $200 million in annual supply expense and an additional $150 million annually in Capital Expenditures. Bob has been with HSHS for 20 years and nearly 30 years in Healthcare Supply Chain and Hospital Operations with two leading Illinois Faith Based Health Systems. Bob has a Bachelor of Science Degree from Eastern Illinois University and a Masters in Science Degree in Healthcare Administration from the University of St. Francis. What creates value in the Supply Chain and how might we as quality leaders set the climate for excellence? How do scientific studies compare with our knowledge and experiences as practitioners? This session connects key learning points from current scholarly journals with real world experiences to highlight the power of collaboration, leadership & relationships in the Supply Chain. Mary Alice Gallagher currently is employed at the Boeing Company supporting customers with quick turn-around problem-solving and connecting them to highly-skilled Subject Matter Experts (SMEs). She has 20+ years experience in aerospace, spent primarily in logistics, systems engineering, training, operations management, and leadership development roles. Before moving to the Midwest, she taught at the high school level in New York City. 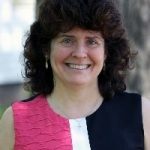 MaryAlice considers herself a perpetual learner and is an Executive & Professional Coach and Organization Development Consultant. Her work with teams to promote Continuous Improvement has resulted in cost reductions and cost avoidance. She enjoys helping leaders reach their potential and improve their products and processes. Her Professional memberships include Project Management Institute (PMI) and Society of Women Engineers (SWE). 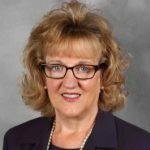 She is also a Board member of the Boeing St Louis Leadership Association, leading the Leadership Development Committee. She has presented several times at Women in Aviation and SWE conferences. Todd Snover is a Supervisor in the Business Process & Systems Group at Brown Smith Wallace. This presentation will show how including business process tools in your Quality System will enhance consistency, reduce cost, and promote a ‘process-focused’ culture that embraces continuous improvement. Topics covered will include process classification frameworks, BPMN process mapping, benchmarking, TOC, and applications of key Lean Six Sigma tools. Todd Snover is a Supervisor in the Business Process & Systems Group at Brown Smith Wallace in St. Louis, MO. He leads many process and system evaluations and utilizes Lean Six Sigma and Business Process Management to help organizations realize substantial improvements and to build their ‘process focus’ capability. His credentials include: Certified Lean Six Sigma Black Belt, PMP Certified Project Manager, Certified in BPMN and DMN Process Mapping Methodologies, Bachelor of Science, Electrical Engineering. Todd’s career of over 35 years includes experience in manufacturing & embedded control systems, quality methodologies, project management, cross-functional leadership, and process improvement consulting. He has a proven track record of successful results in over 20 industries. Engage all members to “take action” in Kaizen activities. A pile of many small improvements results in a large effect, however it is difficult to motivate members to make changes themselves. 1P1K program gives the authority and recognition to each member in your organization to improve their working condition concerning: Safety, Environment, Quality, Deliver, and Cost. Chuck Kuhn has 26 years in the automotive industry: Engineer – supporting production in die casting, machining, and assembly as well as launching new business, Product Support Team Leader – Managing business expansion, Department Manager – Green site start up Asian owned electronics assembly responsible for Production Engineering, Quality, and Manufacturing. Implemented many systems including: Safety Patrol, QA Network, Perfect Line, 5S, and plant wide Scrap Reduction. 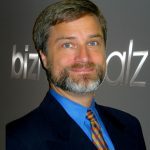 B-3 Chris AndersonManaging Director, Bizmanualz, Inc.
Chris Anderson is an experienced ISO 9001 Quality Management Systems developer and process improvement change leader. Are you managing your quality system or is your quality system managing you? It’s really all about effectiveness, which is defined in ISO 9000 as achieving planned results. This translates into collecting data to show the attainment of deliberate targets and then taking action on the results. This is the essence of the process approach. This presentation will explore how to achieve higher levels of effectiveness using clear targets, data, and analysis/actions, while at the same time doing less of those things that are less effective. 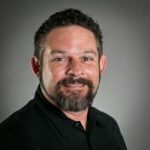 Chris Anderson is an experienced ISO 9001 Quality Management Systems developer and process improvement change leader specializing in creating metrics, dashboards, and standard operating procedures to drive effective improvements. He is currently the Managing Director of Bizmanualz, Inc. He holds a Master’s in Business Administration (MBA) from Pepperdine University and a Bachelor of Science degree in Electrical Engineering (BSEE) from Southern Illinois University. He is also a Lean and Six Sigma Black Belt, and holds CQA, CMQ/OE, CQPA, and CQIA ASQ Certifications. Individuals and teams compete against each other in games that follow rules defining success and failure, winners and losers. As a basketball coach for the past 46 years at the collegiate level, it has been my job to develop individual and team skills for team success. I plan to share my observations and experiences on mentoring team leaders and team members to produce the most successful collaborative effort possible. The team is led not just by the coach but by the team members who are responsible for the outcome of the competition. Learn how to mentor others so that they might be true winners. 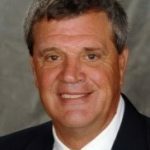 Mark Edwards, a 1969 graduate and 4-year basketball player at Washington University in St. Louis before the program was dropped in 1971, was recruited in 1981 to restart the men’s basketball program. In 37 seasons at the helm at Washington University, Edwards has become nationally known as a successful and well-respected NCAA Division III coach, posting a 685-293 (.700) overall record. His Coach of the Year honors include 10 from the University Athletic Association, the most recent in 2018. The Bears won back-to-back NCAA Division III National Championships when Washington University captured its second consecutive crown in 2009. What’s So Important About Having Or Being A Mentor? Having mentors can do wonders for your career — but it’s tough to know who to turn to, and more importantly, how to build those relationships. In any field, having a professional mentor or being a professional mentor can help individuals develop and advance their careers. This session will discuss the “How tos”: How to find a mentor; What’s the typical mentor-mentee process; How to form and build the mentor-mentee relationship; What are the expectations of the mentor and mentee; and What skills the mentor needs to bring or develop during the relationship. Nadine Kouba has 25+ years experience including executive coaching, succession planning, leadership program development and facilitation. Nadine’s career has included with Boeing, GKN Aerospace, Mallinckrodt, Famous Barr, Maritz, AmerenUE, and The Jewish Hospital at Washington University. Nadine earned a Ph.D. in Education – Higher Education Leadership from St. Louis University, a Masters and B.S. in Education from Kent State University in Ohio, and a graduate certificate in Executive and Professional Coaching from the University of Texas at Dallas. In addition, she is a certified instructor for Juran Quality Process Improvement Team Leader training. 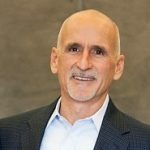 Rik Nemanick is a consultant, speaker, and author focusing on leader and organization development. Mentors are powerful forces in organizations. They shape future leaders, transfer learning across generations, and ensure the long-term success of an organization. However, mentoring can be a long process, and not everyone is prepared to be a mentor. In this seminar, Rik Nemanick will share eight rules of mentoring from his book, The Mentor’s Way, that help accelerate the mentoring process and maximize its effectiveness. Participants will leave with practical tools and advice they can use to become better mentors in their own organizations. Rik Nemanick is a consultant, speaker, and author focusing on leader and organization development. He is a partner and co-founder of The Leadership Effect, a firm that focuses on helping clients maximize the potential of their leaders. Rik has consulted with clients of all sizes, from large enterprises like Monsanto, Massachusetts General Hospital, and Build-A-Bear Workshop, to midsized businesses like Scott Credit Union and SM Wilson. Rik is the author of the book The Mentor’s Way, which focuses on teaching mentors the skills to bring the best out of others. He is adjunct faculty at Washington University in St. Louis and earned his doctorate from Saint Louis University. In this design workshop, teams of three people work together to design and build a simple machine and associated process for achieving the very important objective of hitting a target with a mini-marshmallow. Teams will be challenged to create a catapult out of ordinary household and office supplies, which all bear a cost. The teams compete to meet the customer requirements while minimizing the cost of materials (best ROI wins). Through this exercise, teams will gain first-hand experience with the dynamics of Agile Process Design, providing context for a keynote presentation on that subject. Prior to founding MoreSteam in 2000, Bill Hathaway spent 13 years in manufacturing, quality and operations management. 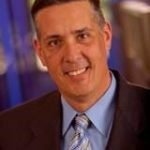 After 10 years at Ford Motor Co., Bill held executive level operations positions with Raytheon Amana Home Appliances and Mansfield Plumbing Products. Bill has undergraduate and graduate degrees in finance and operations from the University of Notre Dame and Northwestern University’s Kellogg School of Management. 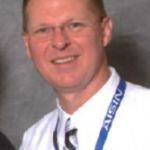 He continues to serve as MoreSteam’s president and is a frequent speaker on process improvement topics. The Agile methodology has many applications throughout the enterprise. Chad will discuss his experience with utilizing agile to transform organizations with Government, Financial, and Healthcare Industries. Chad Gallant is a passionate, disruptive Agile leader who uses three guiding principles to effectively transform companies into true Agile enterprises. He coaches Agile leaders and change agents to empower, enable and engage teams to ensure optimal autonomy with the right tools and full transparency, so the teams can deliver quality solutions to customers as quickly and often as possible. He is enthusiastic about his role and has a proven track record of successful transformations in Dept of Defense, Financial Services and Healthcare industries.